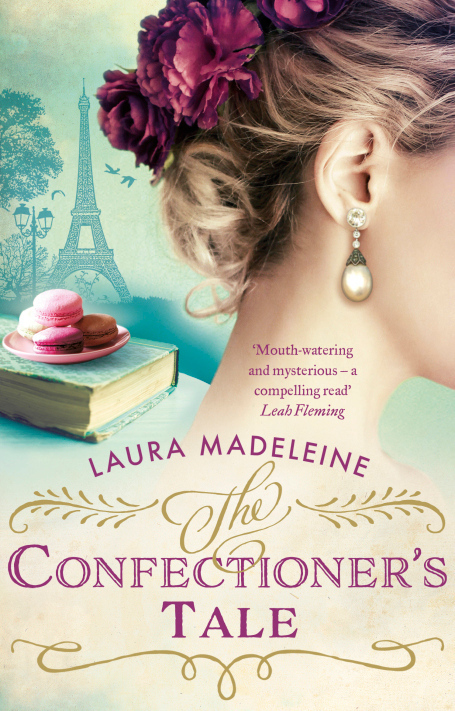 A review of The Confectioner’s Tale by Laura Madeleine. Post may contain affiliate links. First of all, I will read anything with Paris in the title. I will also read anything about food. So, calling a novel The Confectioner’s Tale: A Novel of Paris means I am going to read it. I loved this book and not just because it was about Paris and food. The novel takes place in two different times and settings. In the present day we have Petra Stevenson. In the past, we are taken to Paris in the 1800’s where we meet Jeanne and Guillame. While going through her grandfather’s things, Petra discovers a photograph with the words “Forgive Me” written on the back in her grandfather’s handwriting. She doesn’t recognize the people. When she learns that a biographer is writing her grandfather’s biography and that he claims to know something scandalous about her grandfather, she sets off to find out what she can. As we follow Petra’s current day search for information about her grandfather, we are also introduced to Jeanne and Guillame in Paris in the 1800’s. Jeanne is the wealthy daughter of the owner of the Patisserie Clermont. Guillame is a poor railroad worker. These two from completely different walks of life fall in love. As we read, we learn how Petra’s grandfather Jim and the young couple are tied together. The novel is part love story and part mystery. The descriptions of the pastries and the pastry making process were mouthwatering and fascinating.